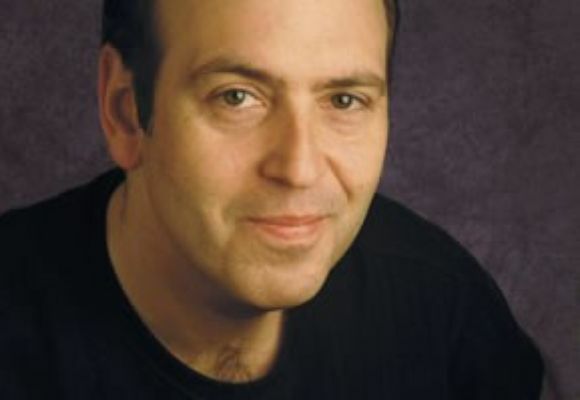 David Budway is one of the most distinctive pianists on today's international jazz scene. While deeply rooted in classical music and rock and roll music, his masterful command for the modern jazz vocabulary has propelled him into the midst of present-day jazz pioneers. He is quickly becoming a highly sought-after accompanist, arranger, film composer, and songwriter. As a child his Pittsburgh home was filled with the sounds of the Beatles, Mozart and Bach, as well as classical Arabic music coming from his father's violin. These early influences led him to begin classical piano study at age five and to eventually earn a Masters Degree in Classical Piano at Duquesne University, where he later taught Jazz and Classical piano for 15 years. It was during this time in Pittsburgh that he recorded his first jazz album in 1989 with sister Maureen entitled "Jazz, the Budway". David caught the attention of Prince's sax-man Eric Leeds and, in 1990, was invited to Paisley Park Recording Studios to record "Things Left Unsaid" on Warner Brothers Records. During this same year, David was featured as the Jazz Piano soloist in the independent film "Giant Steps" starring Billy Dee Williams. In 1992, David not only made his classical piano debut with the Pittsburgh Symphony Orchestra, but he performed his first classical recital with world renowned flutist Hubert Laws. Since their first meeting, David has frequented many recordings of Mr. Laws including "Storm Then the Calm" (Music Masters), "Hubert Laws Plays French Classics in Memory of Jean Pierre Rampal" (Spirit Productions/Scepterstein Records) and most recently "Moondance" on Savoy Jazz, in which Hubert records three of David's original compositions. In the mid-90's, David released two solo piano albums: "Brief Encounter to Last a Lifetime", and "The Music I Hear", for Alanna Records. While living in Pittsburgh, David performed many solo classical faculty piano recitals, performed in Master Classes for James Tocco, Ruth Slenczynska, Eugene List and Artur Balsam, and performed locally with a number of Jazz Legends such as Clark Terry, Joe Pass, Jon Faddis, Louie Bellson, Dave Liebman, George Benson, Mark Murphy, Jimmy Heath, and Dizzy Gillespie. David relocated to New York City in 1997 and immediately became a much sought after player in many genres. In addition to accompanying Broadway diva Christiane Noll, David became Stanley Turrentine's pianist, and the pianist for both the Jeff 'Tain' Watts and Regina Carter Quintets. David can be heard on "Bar Talk" by Jeff 'Tain' Watts on Sony/Columbia. This album also features a Budway composition entitled "Kiss". In 2001, David was the proud recipient of two prizes in the John Lennon Songwriting Competition. His latest recording features original tunes written in the same spirit.